I don’t know about you but I always imagined eco cars would be born from some sort of comic-book fusion of scientific and mechanical brilliance. And of course, they’d make fossil fuels instantly obsolete. Instead, over the past few years we’ve been fed a load of marketing hype about fuel economy that ultimately covers up poor production methods. Let's take the Toyota Prius, for example. The parts alone have collected more air miles than Richard Branson. And don't get me started on the batteries – you could set up your own nuclear arms dealership with one. So the next time Mary from the parish council tells you she's bought an eco car to “do her bit”, please tell her that a 1976 Jaguar XJ-S would be more environmentally friendly than her new Prius. Then, out of nowhere, someone launched the game-changer. 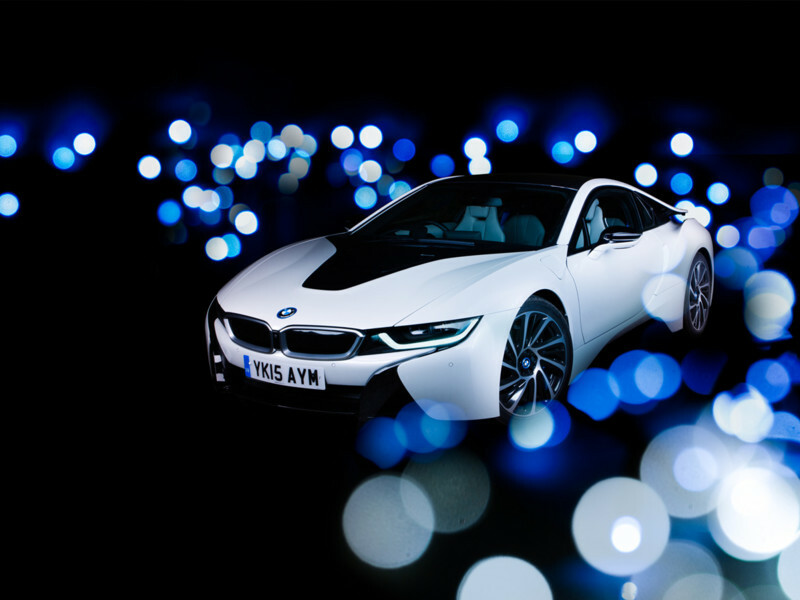 It is, of course, the now award-winning BMW i8. Not only was this a hugely successful R&D exercise, it also helped highlight the importance of sustainability of production processes and traceability of materials. 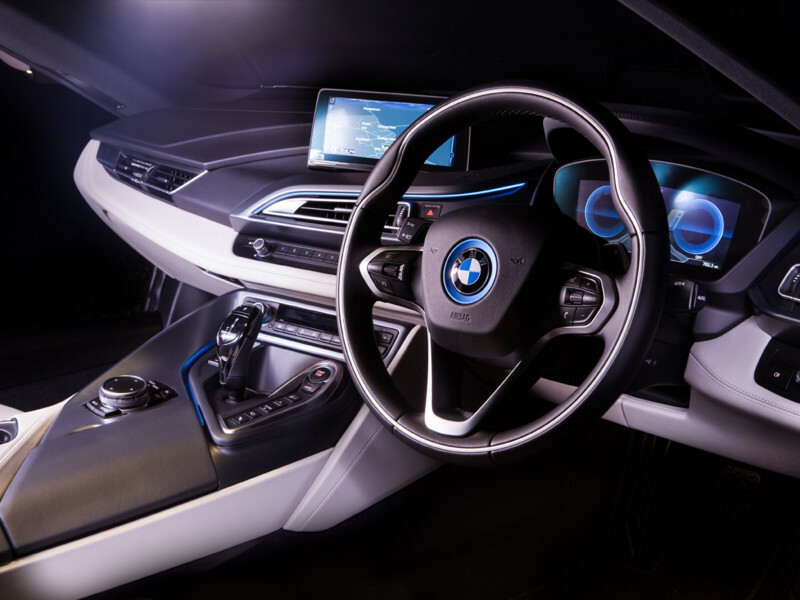 BMW has considered the entire end-to-end approach, including sourcing, production, usage and recycling. 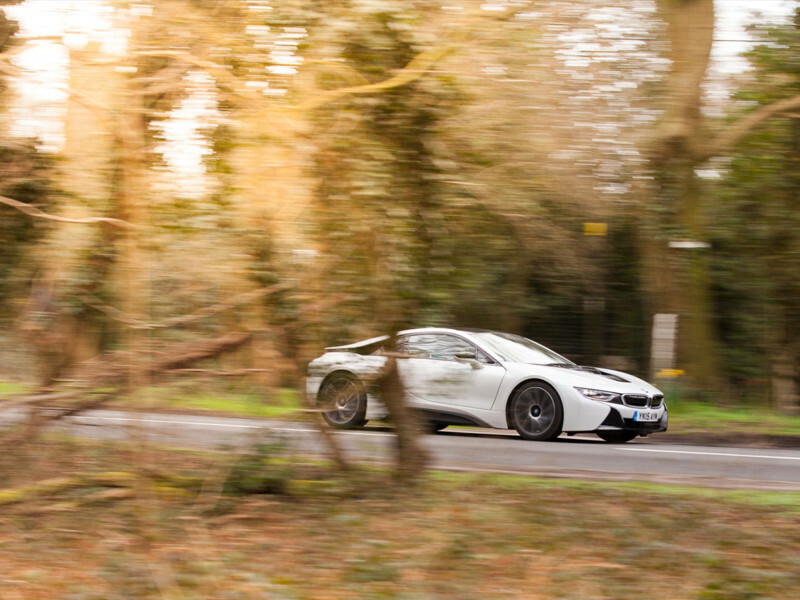 The i brand is so dedicated to producing sustainable vehicles that it’s built its very own carbon-neutral facility – a hydroelectrically powered plant that makes the carbon-fibre from which its lightweight vehicles are built. Don’t take my word for it, though. Check out the Dow Jones Sustainability Index, which shows the BMW Group as the leader for the ninth time since 2005. That makes them the most sustainable company in the automotive industry. Another more tangible example is the use of materials like open-pore eucalyptus wood for the interior, which is 100% sourced from trees certified by the Forest Stewardship Council. Eco-warrior aside for a second, what’s it like to drive? Surprisingly normal, to be honest. It still has two pedals, a steering wheel and a handbrake. But it’s the stuff around them that gets you excited. My favourite is the Active Cruise Control. It maintains your chosen speed while keeping a pre-defined distance to any vehicles in the lane ahead. A similar radar can also read road signs and make adjustments or give warnings. There’s a bright future for these. There’s also everything you’ve come to love about BMW: an 8.8-inch HD screen, Harman Kardon sound, head-up display, comfort access and so on. Oh, and there’s optional matching Louis Vuitton luggage, if that tickles your fancy. 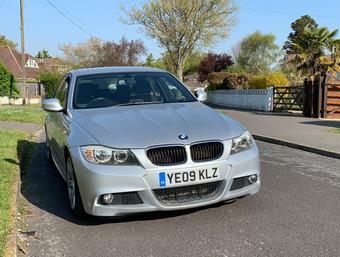 On the road it feels just like a new 5 Series: comfortable, refined and gentlemanly. However, you can change this by simply pressing the bipolar button, or “Sport” as BMW calls it these days. The gearbox is good, but it’s not DCT good. The highlight for me is the dash turning an angry red and the head-up display becoming more focused. 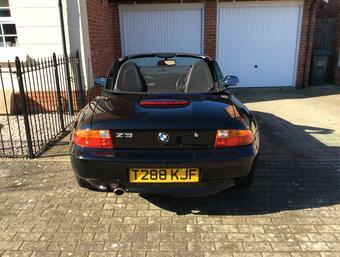 It’s quick, don’t get me wrong, but it’s not £100k sports car quick, and it lacks the pure driving thrills that people tend to spend this kind of money on. However, you could just play the trump card and say that sports cars, like the M6, are simply typewriters in an age of iPad Pros. Power is driven from the back by the same 1.5-litre three-cylinder petrol turbo engine that’s in the MINI Cooper. This is combined with a 129bhp electric motor in the front powered by lithium-ion batteries. Working together, they produce 357bhp and 570Nm of torque and, as a result, will blast you from 0-62mph in just 4.4 seconds and on to a top speed of 155mph. In a hybrid? Of course I have to nitpick. The lack of engine noise is the first thing you find odd, but you do get used to it. However, getting used to the artificial tones that are pumped through the speakers as a substitute is another matter. 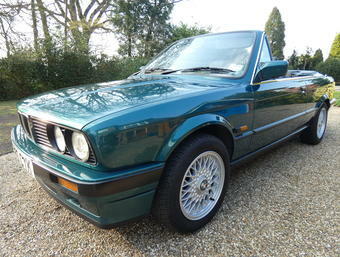 Like most things though, you do eventually forgive BMW and concede/hope it’s somehow going to be a good thing eventually. Also, and this might sound obvious, everything is just so… electronic. There are no dials, switches, gearstick or clutch. In fact, there aren’t many traditional tools at all. The steering wheel and pedals are about it, but even those don’t have any mechanics behind them. So back to the award-winning highlights again. 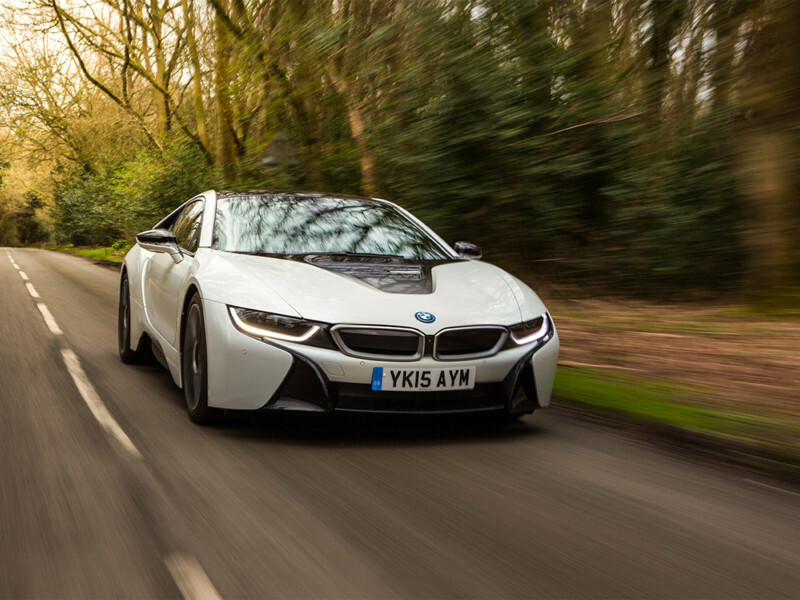 BMW estimates that the i8's carbon footprint is roughly a third of a conventional car’s. It’s also won the Green car of the Year as well as Engine of the Year for 2015. I could honestly go on all day sharing more mind-boggling, groundbreaking stats. However, my conclusion would still be the same. 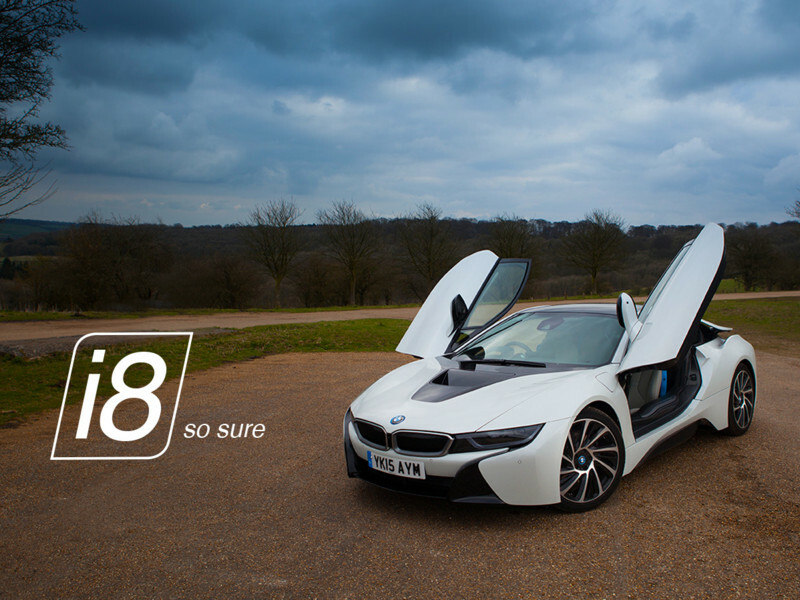 No matter how innovative, beautiful and efficient the i8 is, the original challenge remains – it’s still ultimately powered by a fossil fuel.